Mothers Day has always been an important part of Regal Films as they have launched several movies with this theme and this year, they're bringing in a different twist. Aiai Delas Alas is now starring in a feel good comedy movie that will tell you about the life of a Mighty Yaya. Yaya is a term that they give Nannies in the Philippines and it has been centuries that families always had one - especially if Mothers an Fathers couldn't give service for their childrens needs. They are like second Moms and somehow, they give unconditional love much like a regular mom would do so in a sense, Yayas are mothers too. 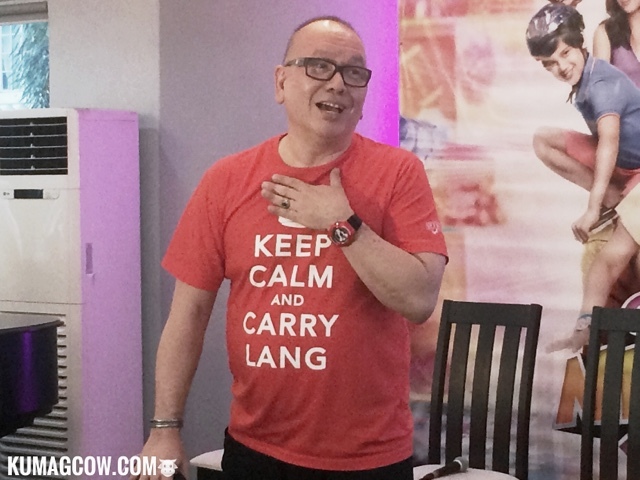 Direk Joey Reyes promises this to be a whole lot of fun, but with a heart. You'll get to see the stories of people who take care of the family and even see the hardships that people go through when they are OFW's. He utters "Yayas have always had a soft spot with me, I didn't have one but we have kasambahay which is mightyly still the same. They love the children, they raise them as their own. I get broken hearted when I have helpers that are education graduates and say that they will earn more than teach in the province. The Mighty Yaya's power is from the heart, she loves the kids not just because it's a responsibility, but because they are mothers too, and that takes a lot for a person." "Peachy and Kevin will make Mighty Yaya's life miserable so make sure you're ready for the naughty pranks they will do regularly on the movie. I also had a yaya but she wanted to have a family, we let her go but I really miss her, I will cherish the memories spent with her. Even if she's sick, they still take care of me. That's something I keep in my heart." Zoren Legaspi adds "As an actress, she's very good. She's not a diva, a good follower with Direk and she's easy to be with. I had a yaya too, since I was a teenager and now they are taking care of our kids too. We always have long staying yayas and it's only a change of career that makes them leave if ever." 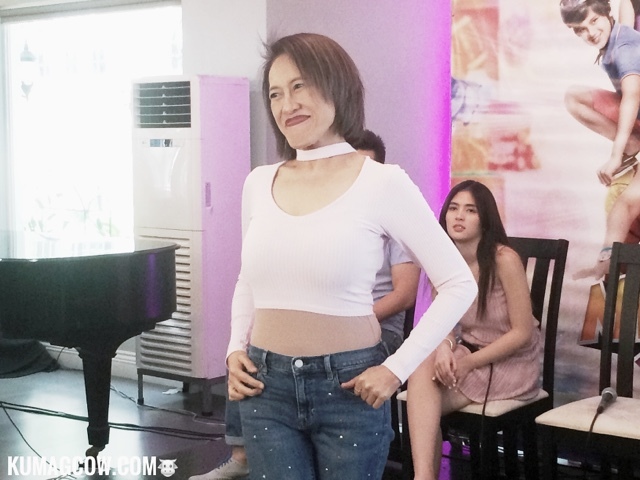 Ms Aiai Delas Alas says "I have a Yaya too and she's my peg, I was loved and that's exactly what you'll be seeing in this film. Tangin Ina was close to my heart because I got to do everything there, but this one is very close too because she's in a different situation, but they all take care of the kids. I needed to experiment, I gave my all on Area because that's also about a mom. I draw strength with real life situations because it's what the role asks for, I'm glad to have gotten the opportunity to do that and win an award. Mighty Yaya is like cartoons, fun for kids and it is that type of comedy that the masses wants, that's what we give them too. My Yaya is now taking care of my Mom, I remember how she molded me to pray to Mother Mary in Baclaran. I do my best in every movie, getting accolades is just a bonus and I feel blessed getting that." Mighty Yaya will be shown starting May 10 and will have their premier night today at SM Megamall Cinema 10. You should drop by to see your favorite stars. This is under Regal Films.